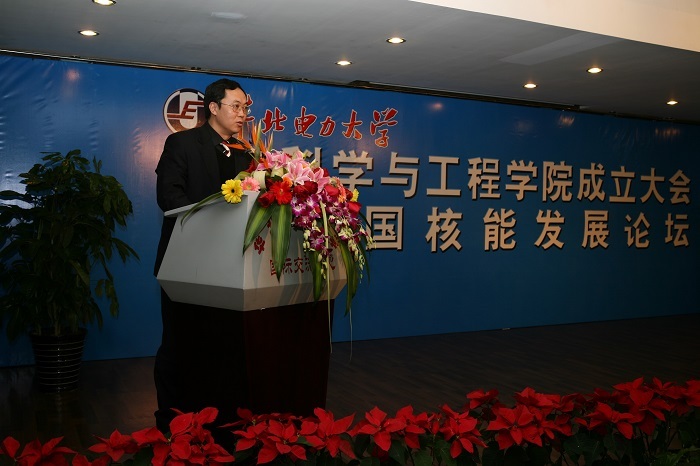 The School of Nuclear Science and Engineering (SNSE) was established based on the preponderant disciplines in North China Electric Power University (NCEPU), aiming to implement the national policy about “the medium and long term development plan of nuclear power”. This school is also the core component of the education system with “Big Electric Power” features which is built with emphasis on subjects related to new type energy. SNSE was founded in 2007. 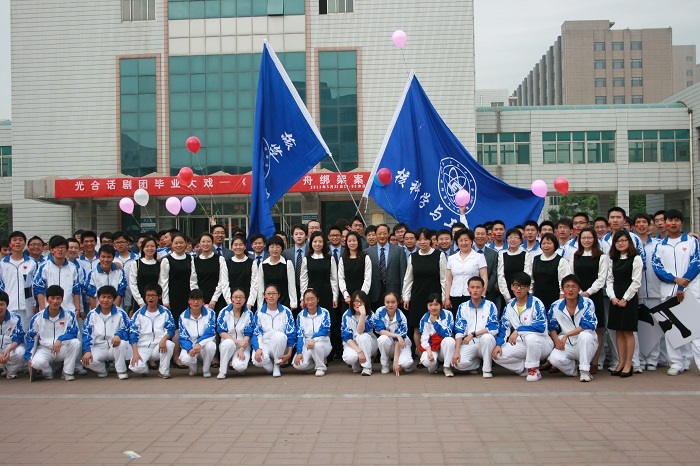 Having two provincial and ministerial key laboratories (Beijing Key Laboratory of Passive Safety Technology for Nuclear Energy and State Energy Key Laboratory of Nuclear Power Software), SNSE is granted the right to confer doctoral degree in the second-level discipline Nuclear Power and Power Engineering and master degree in the first-level discipline Nuclear Science and Technology. The school possesses the national experimental teaching center for Full-scope Virtual Simulation of Nuclear Power Engineering and the national base for Practical Education of Nuclear Power Engineering. The first level subject “Nuclear Science and Technology” ranked the 9th in the China Discipline Ranking. At present, the school has 32 faculty, including 1 academician (Professor-in-Residence), 5 doctoral advisors, 10 professors and 9 associate professors, with their research areas covering all the subject directions in the first-level discipline Nuclear Science and Technology. Almost all of the teaching staff achieved the doctoral education and possessed sophisticated engineering and international experience. SNSE is in charge of several national projects in the nuclear engineering and safety area. During the Twelfth Five-year Plan period, the school undertook or participated in 60 major projects, including the Large Advanced PWR National Science and Technology Major Project, the 793 program, the 863 program and the National Natural Science Foundation, and over 50 enterprise authorized projects were completed. SNSE obtained approximately 100 million RMB Yuan research funds to date. Over 200 SCI papers and 300 EI papers were published and more than 60 invention patents and 50 software copyrights were conferred in SNSE. The school is the key participant of significant programs such as the international cooperation project about Daya Bay Reactor neutrino research, the development of China’s first nuclear power plant design and safety analysis software (COSINE) with fully independent intellectual property rights and the development of nuclear power design and analysis software package (NESTOR) for HPR1000 (Hua-long Pressurized Reactor). SNSE also made outstanding achievements in the development of faster reactor theoretical simulator and software SAC-CFR, as well as the conceptual design of advanced lead cooled fast reactors. Undergraduate programs in SNSE include Nuclear Engineering and Technology and Radiation Protection and Nuclear Safety. The Nuclear Engineering and Technology program, which admitted students from 2004, was ranked in 2008 as the third batch of National Characteristic Discipline Development Center and in 2010 as one of the first batch pilot majors of National Outstanding Engineers Plan. In 2012, the program was listed as the demonstration site of major comprehensive reform in the national undergraduate teaching quality and teaching reform project. Based on the in-campus experiments, simulation practice and off-campus internship, the school showed the talent cultivating features of emphasizing on theoretical foundations, practice and professional skills. International exchange and cooperation was extensively carried out in SNSE. The school established strategic partnership with the State Nuclear Power Technology Corporation (SNPTC), China General Nuclear Power Group (CGN), China Institute of Atomic Energy and National Nuclear and Radiation Safety Center. SNSE is the member of Faster Reactor Industry Alliance, the nuclear software workstation college of SNPTC, the participant of the IAEA project about global offering CPR and the cooperation partner of the FP7 (European Union’s 7th Framework Program) project “Design of Test Loop of In-reactor SCWR Radiation Experiment”. The school now has 630 undergraduates, 148 graduates and 49 international students. In the past decade, a total of about 2000 engineers were cultivated for China’s nuclear power industry.